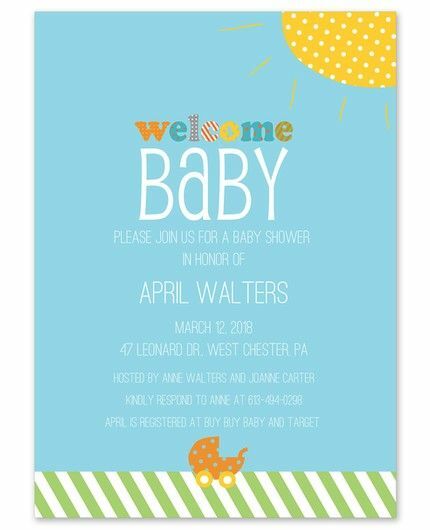 This colorful baby shower invitation features the words “Welcome Baby” preprinted at the top of the card in fun and colorful typography. A yellow polka dotted sun beams from the top right corner of the card and green and white diagonal stripes span across the bottom, holding a patterned baby stroller. Customize the wording in the center of the card with your event details.